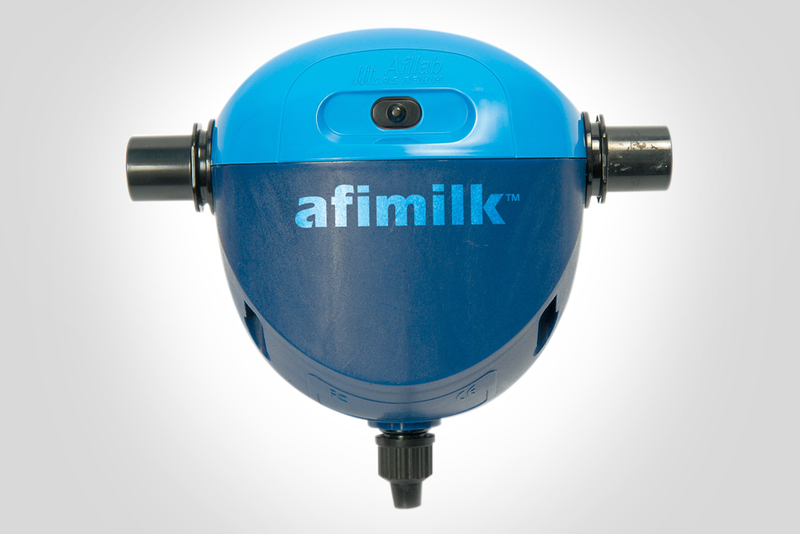 Is an innovative, compact and efficient real-time milk analyzer. It analyzes the milk components of each cow during milking while being in constant communication with the central computer gathering valuable information that will facilitate decision making in that precise moment. AfiLab allows today’s dairy farmers an early feeding and health issues identification in the herd. With AfiLab there is no necessity for you to wait for the lab results of the components of your own milk from an external laboratory. This system makes its own real-time analysis allowing you to make decisions that will optimize feeding and to design more efficient diets. When the system is used at its full potential, it becomes a powerful tool that helps you improve milk quality, nutrition, health and herd genetics. Sensitive monitoring of fat levels allowing timely feeding ration modifications to achieve a greater stability. Specific milk solids monitoring per group or herd. Detects risk levels of acidosis (Sub-Acute Ruminal Acidosis) by pen and by herd. Helps to maintain the feeding efficiency level. Helps to maintain a greater control and management of the feeding rations. Timely detection of eating disorders. Early, accurate and sensitive detection of subclinical ketosis. Individual detection of subclinical acidosis. A complement for mastitis detection. Helps to improve the bull selection for genetic improvement. It allows a better detection of the individual herd quality. Early prediction of lactation in liters and milk components. The AfiLab system allows the dairy farmer to give a huge step towards a more efficient herd management and technologic implementation to identify feeding issues before affecting production. Measures fat, protein and lactose levels. Identifies the presence of blood sending a signal to the central system for it to stop milking in that specific stall. Interrupted measurement of milk components. Without movable components that can stop the constant milk flow. Doesn’t use reactives or any other product that elevates the measurement cost. The analyzed data is available in the report section of central Afimilk system, this allows the dairy farmer to take immediate decisions after the cow leaves the stall.